With material costs increasing and strong competition for construction bids, it is more important than ever for contractors to stay innovated and leverage the latest in cost-saving technologies. Our focus is on technologies that give you a leading edge in the field, including software solutions for automated timesheet entry, and rugged mobile computers to scan and track assets. 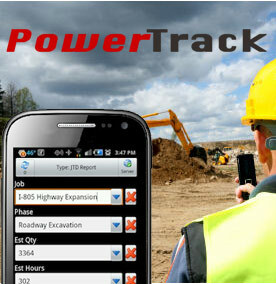 The PowerTrack Enterprise Mobility Platform provides the tools that your organization needs to automate field reporting and employee time entry, provide real-time visibility to field operations and extend your enterprise data applications to your mobile workforce. PowerTrack is a mobile software solution that leverages the latest mobile and web technologies to create a solution that best fits your organization and current IT infrastructure. It is developed in-house by software engineers at POSDATA and continually updated to provide an ever-expanding list of functions for clients in construction. While it is tempting to just use your own consumer-grade personal mobile phone on the job, you are overlooking the durability and enhanced features provided by rugged mobile computers specifically designed for the construction and manufacturing environment. 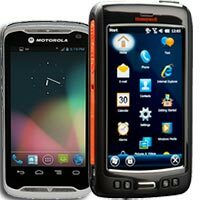 Devices like Motorola’s TC55 and Honeywell’s Dolphin Black marry the usability of a consumer device with the longevity and power of rugged hand-held computers. These devices are built to scan barcodes, track assets, access enterprise software and deliver higher levels of productivity on the job. POSDATA’s Mobile Device Management service oversees the tech support of the mobile devices in your enterprise. POSDATA provides a single point for all issues related to your mobile environment, thus serving as a trusted branch of your organization’s IT Department. Our staff can manage a device in the building or across the country, pushing out software and firmware updates, managing users and applications, and troubleshooting. Our Warranty Management Service gives our users a single point of contact for their product support. POSDATA provides a centralized collection and storage site for receiving and managing your equipment. 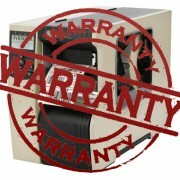 During the OEM/supplier warranty period our service will manage the repair and return of equipment. Activities include receipt into asset inventory, inspection, kitting, and storage.